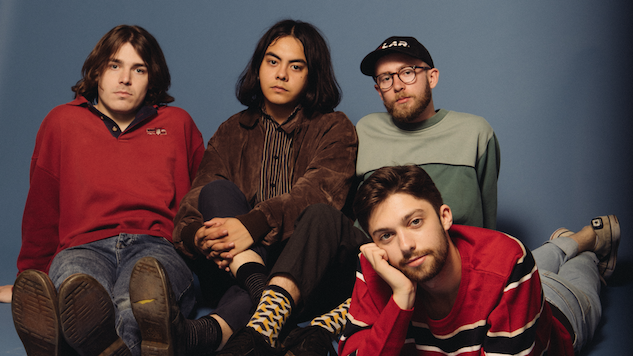 Exclusive: London Quartet Honey Lung Share Melancholy New Single, "Export The Family"
London four-piece Honey Lung have shared their new single, “Export the Family,” premiering exclusively at Paste. Earlier this year, we featured the band on our list of 15 new British bands you need to know in 2018. “Export the Family” is their second single for London indie label, Killing Moon Records, and it follows the raucous, grungy single “Sophomore” and their debut EP, Kind Of Alone. Early next year, the band will also feature on a limited edition vinyl with New York label Kanine Records. This new track comes after the band spent time writing in Berlin and recording with Yuck’s Max Bloom. Despite having just a debut EP and a few singles under their belt, they scored U.K. festival slots at The Great Escape, Reading and Leeds Festivals, Liverpool Sound City, Latitude and more. Honey Lung will support Bloody Knees in the U.K. this month with some additional headlining dates. Listen to “Export The Family” below and scroll down for Honey Lung’s upcoming U.K. tour dates.